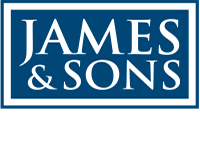 Permitted Development Rights: what do they mean for the office market in Poole? Since May 2013 Permitted Development Rights (PDRs) have been introduced as part of the government’s ongoing planning reforms. The main aim of the reforms is to increase housing provision – PDRs can enable this by allowing the change of use from office to residential without requiring a formal planning application. This relaxation of the planning system enables market forces to operate more freely, reducing the usual constraints of the Use Classes Order. Within Poole, a number of offices are in the process of being converted to residential as developers have embraced the opportunity that PDRs afford. This will provide a welcome boost to the supply of housing units in the town, but the effects may be felt within the office market over coming years. Robert Rogers House, New Orchard, Poole. 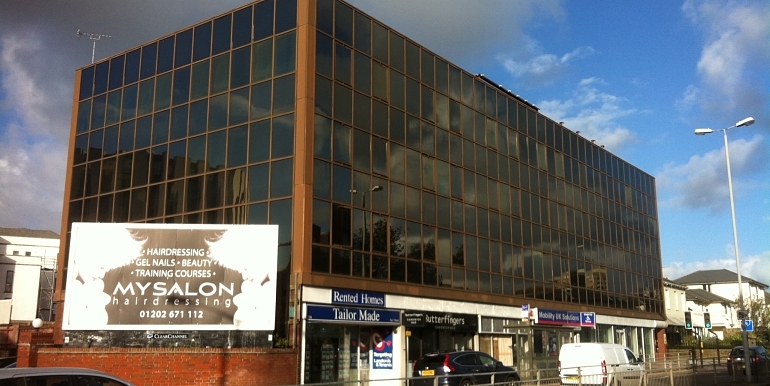 Built in the 1970’s it comprises approximately 15,000 ft² of offices over four floors. It is currently being redeveloped by Burton Property and Forelle Estates to provide 21 residential apartments. Keel House, High Street North, Poole. Located close to the town centre, it is being converted by Quantum to provide 50 retirement apartments over seven storeys. 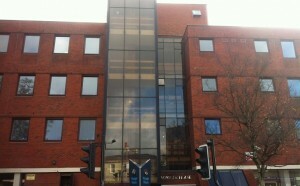 Voyager House, High Street North, Poole. One of the more modern buildings to be converted. This prominent building comprises approximately 35,000 ft² over four storeys. Occupiers had included the Clarendon Business centre. It is now being converted and extended to provide around 50 residential units. 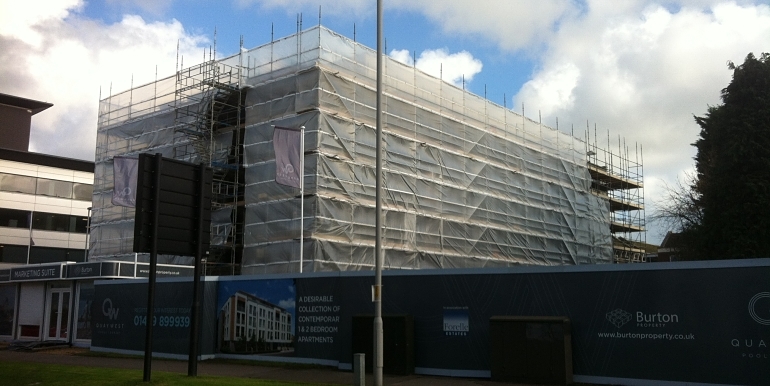 Another potential conversion could include St John’s House, Serpentine Road, Poole. The freehold of these two adjoining offices is currently under offer. Built in the mid-1980’s, the accommodation comprises approximately 22,500ft², located next to the train station. While the future use of the building is yet to be confirmed, the conversion to residential is clearly an option. Most of these offices are representative of how the government intended PDR to operate: town centre office buildings developed in the 1960’s to 1980’s. Once vacant, refurbishment costs to bring them up to modern standards are very high (both from an occupational viewpoint and in terms of energy performance standards). These high costs, coupled with a fragile economy and weak occupier demand, greatly reduce the viability of refurbishment to modern office standards. Furthermore, the continued undersupply of housing, the strengthening of the residential market throughout 2013 to 2014 and the introduction of PDR is possibly a ‘Perfect Storm’ for office markets such as Poole. The result is the loss of a substantial proportion of the towns’ office accommodation – space that is unlikely to be replaced. Owners of vacant offices. Having 30,000 ft² of vacant, dated office accommodation in a secondary market would usually involve a lengthy void period and the prospect of substantial capital outlay for refurbishment. With PDR, residential alternative use is likely to result in enhanced values and more options. Office investors. All things being equal, a reduction in the supply of offices should result in inflationary pressure on rents, with resultant growth in rental and capital values. Developers. With development sites increasingly hard to source, PDR, together with a strengthening residential market, presents a number of opportunities. The Housing Minsister and local councils. PDR will provide a substantial boost to housing supply, going some way towards government and local authority targets. First time buyers and downsizers. Increased supply of housing, particularly flats, should assist first time buyers. Schemes targeted at senior living will also provide a welcome boost to supply, particularly for well located schemes. Commercial / Estate Agents. This churn of older, mostly uneconomical office accommodation provides an opportunity for agents, both in the disposal of the offices and also the sale of the completed units. Freeing up the market and allowing otherwise unviable offices to go to residential sounds sensible. However, the number of schemes under way in Poole will result in a substantial proportion of the town’s office accommodation being removed from supply. This loss of supply will inevitably have inflationary pressures on office rents, particularly if the economy and occupier demand strengthens. While offices such as Keel House and Robert Rogers House appear ideal for PDR, the loss of Voyager House is more surprising. It comprised a relatively modern building situated in Poole’s core office district, relatively well occupied prior to PDR. One of the main occupiers was a serviced office provider. The closure, therefore, resulted in the relocation of a number of businesses, the cost burden of which is high, particularly for small businesses. Permitted Development Rights may be a temporary measure introduced by the government, but their effect will be felt in the Poole market over coming years. For some, the effect will be positive, through the increased availability of housing and homeownership opportunities. The effect on the office market though will be mixed. The reduced supply could result in rents increasing, pushing up costs for occupiers. However, for investors, this would be welcome, especially following a prolonged period of negative to weak rental growth.